With less than a week from the fifth year of the LABRFF, Los Angeles Brazilian Film Festival, the Fabulous Channel take the chance to have a very cool and intimate conversation with one of the founders, the Brazilian producer Meire Fernandes. A quick intro about the festival: Meire along with her husband, the journalist Nazareno Paulo created the festival back in 2006 and since then, they have been doing an amazing job putting the festival together every year. 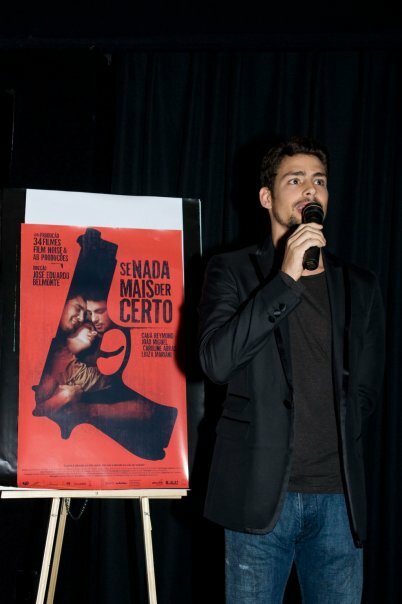 Lots of great Brazilian movies were brought to make the event authentic and unique. 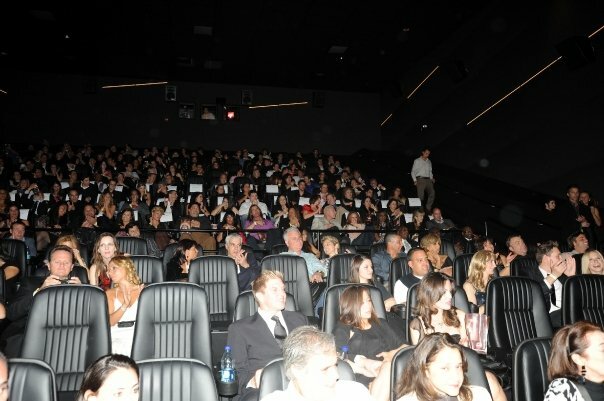 This year it won't be different, Meire confessed that she is anxious about the many amazing guests that will be attending on the opening night, this coming Sunday, July 15, and the many good movies that she were able to bring to showcase! The Festival intention: to promote the Brazilian cinema market by showcasing Brazilian productions, to create opportunities of networking and exchange between Brazil and USA, to award and promote winners of the festival, to promote the Brazilian image respecting it's diversity and culture, when selecting the films to be screened during the festival and to bring awareness of Brazilian locations, structures and incentives for those shooting in Brasil! Fabulous: Meire, after so many years of hard work and accomplishments, how do you feel with the fifth year anniversary of the LABRFF? Meire: I feel absolutely happy with so many things happening for the past 6 years. This project is amazing and is possible because of all the people that could see this as a unique opportunity to showcase the best of the Brazilian cinema. 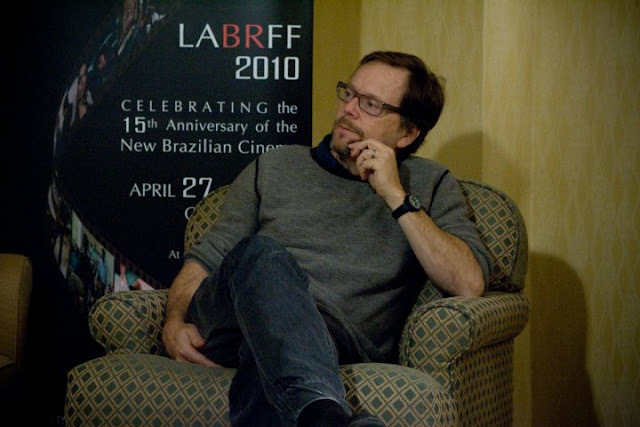 I have to say that we have been accomplishing the festival’s mission by redefining the film festival experience; by contributing with the industry and moreover by providing the industry with the necessary tools to invest and co-produce with Brazil. Fabulous: Will this year have a special taste? Meire: ABSOLUTELY, we are much honored to celebrate the centennial of Jorge Amado, one of the most important Brazilian writers, and we are pleased to announce this showcase Jorge Cine Amado. And not only that, but we will also be offering seminars, and talks of this old love affair between Jorge Amado and the seventh art. During the festival, which is academic and at the same time informal and typically Brazilian, we invite everyone to take a brief trip through time, to the era of Amado in cinema. We invite everyone to come and learn about Jorge Amado and the Brazilian cinema by attending a seminar “Jorge Amado in Cinema, A voyage through time to investigate an old love affair” in which his granddaughter Cecilia Amado will be taking the conversation. 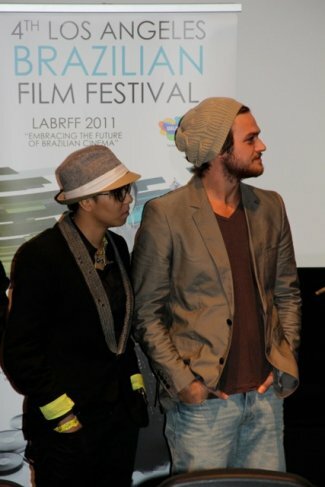 Fabulous: What should people expect from LABRFF 2012? Any surprises? Meire: The biggest offer this year is the spotlight JORGE CINE AMADO with 6 great movies based upon his books. We will also be offering the most important movies from Brazil for 2012 such as “2 Coelhos” from Afonso Poyard with Alessandra Negrini who is arriving here tomorrow, “O Carteiro” from Reginaldo Farias with Fernanda Machado Leite who is also arriving here in L.A tomorrow, “ Open Road” from Marcio Garcia starring Andy Garcia which is our opening night movie, and Marcio will be here, “Mentiras Sinceras” from Pedro Asbeg with Fernanda Machado who is here already, “ Capitães da Areia” from Cecilia Amado who is arriving on Friday, “Quincas Berro D’agua” from Sergio Machado, “Dona Flor e Seus Dois Maridos” from Bruno Barreto”, “Como Agua” documentary about Anderson Silva, “Onde Está A Felicidade” from Carlos Alberto Ricelli and Bruna Lombardi, “ Coração do Samba”, “Trampolim do Forte” from Joao Matos, “Lobão Não Há Estilo Sem Fracasso” and many other features, shorts and documentaries. Fabulous: What is like to put together a festival out of your country? Is there a lot of struggle? 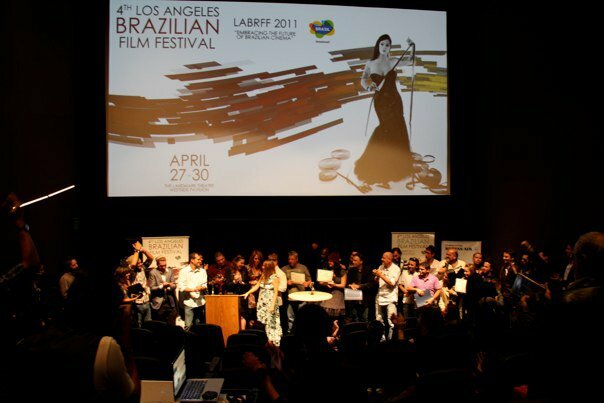 Meire: The Los Angeles Brazilian Film Festival is known within the industry for its credibility and line-up. We are constantly looking for great movies done by amazing directors and with amazing talents. Fabulous: Do you work with a big crew besides your husband? Meire: To be very honest with you, we don’t have a big crew, but we do have a GREAT crew collaborating with our efforts. And I believe that to be respected and admired, you don’t need quantity but quality, and this we have for sure. 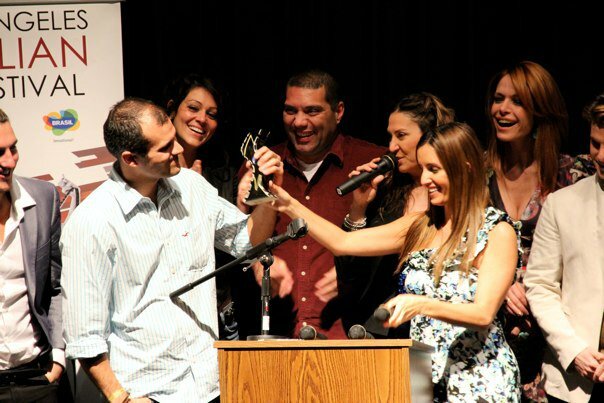 Fabulous: What is the most special moment that a festival brings to you as a producer/ founder? Meire: The ability to help filmmakers to find a possibility for their movies. This is what makes us very proud. We have done amazing with producers, we have connected people, we have discussed about Brazil as the destiny for locations by offering every year great seminar provided by EMBRATUR our Presenting Sponsor, and this seminar brings awareness to the American industry about our locations. 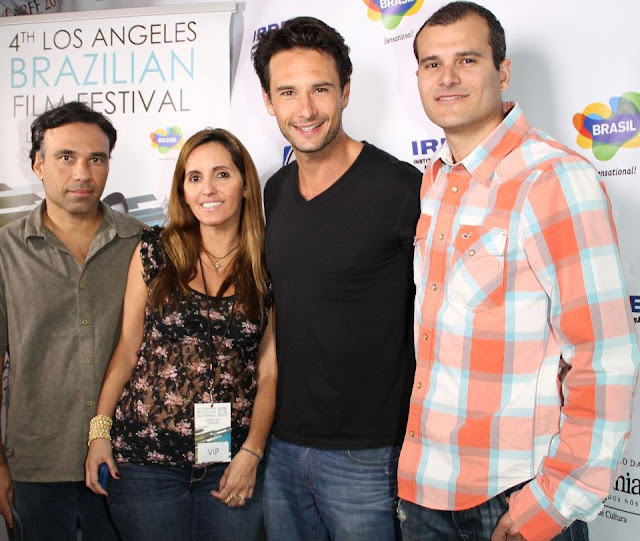 Because of LABRFF many producers had considered Brazil for their productions. Fabulous: You told me that this year the opening night will be very special. It will be gala night with everybody dressed to impress, in formal attire , beautiful dresses, the theater will brand new, beautiful..etc. So, any other special info we all need to know? Fabulous: After the opening night, any after parties to attend? We must party to celebrate BRAZIL! Meire: We are very blessed to have great people, great friends, great supporters such as Ariel Del Mundo who is offering us this great AFTER PARTY at Bardot Hollywood where all the celebrities will gather after the opening night event. I am sure we will have an amazing night. Also festival continues with many activities thru the week. It is a MUST SEE EVENT!!! 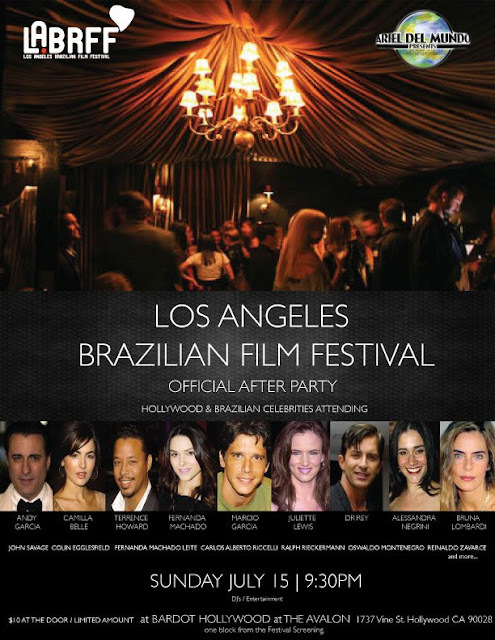 LABRFF AFTER PARTY PROMOTED BY ARIEL DEL MUNDO! To give you guys a little taste of the festival previews years, here it is, photos!